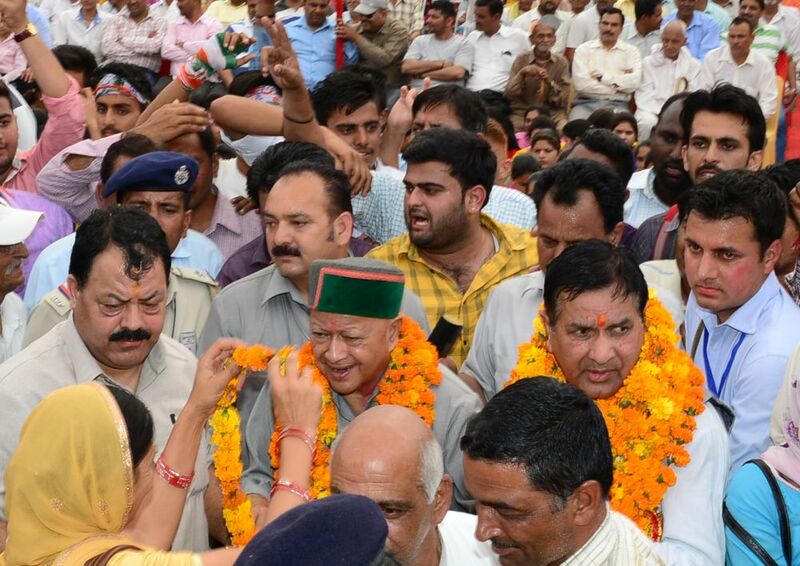 Amb: Himachal Pradesh Chief Minister Virbhadra Singh has cautioned political leaders not to play divisive politics as it would only harm the harmony and peace in the country. Veteran politician, while addressing a public meeting at Amb in Una district, today, said several people in the country were playing divisive politics and advised them to refrain from this in the interest of the country. The Congress did not believe in politics of caste, region and religion, he said, adding that for us India was one and we all are one and every one could practice his religion as the nation respect all religions alike, the CM further said. He also rued for degrading political decency now a days and the blame game politics have taken place instead of word of favour or praise. The Chief Minister said that lot of development had taken place in Amb but there were many in Opposition who could not see it with an open eye and criticise just for the sake of criticism.